Sheraton Saigon Hotel & Towers announced Thursday that it had been selected the “Best Business Hotel in Ho Chi Minh City 2006” by Business Traveller magazine. The Business Traveller Asia-Pacific Awards, now in its 15th year, honors the top airlines, airports and hospitality providers including top business hotels from 19 major Asia-Pacific cities. The magazine recognized the Sheraton’s excellent services for business travelers over the past year, said the hotel general manager Kim Powley. “We were chosen by the magazine’s readers and the hotel’s valued guests. This strengthens our position as the leading hotel in Ho Chi Minh City,” he said. The five-star, 23-story hotel is located in the heart of Ho Chi Minh City and offers panoramic views of the developing metropolis. It is just a short walk from the beautiful Opera House, the Saigon River and several of downtown’s eye-catching sights. The Sheraton was the official venue to host the APEC Trade-Related Ministers Meeting in early June. Over the past six months, the hotel has welcomed high dignitaries including WTO Director General Pascal Lamy and ministers from APEC member economies. 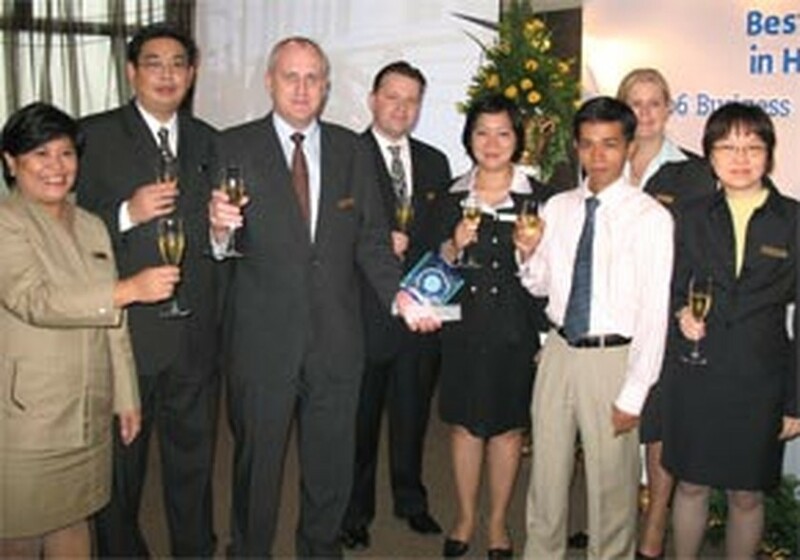 In addition, Business Asia magazine, in conjunction with the CNBC Asia Pacific television network, named Sheraton Saigon the “Best Business Hotel” in Viet Nam in both 2004 and 2005.